Shockwave therapy has been used in human physiotherapy and rehabilitation for years to treat a variety of injuries. 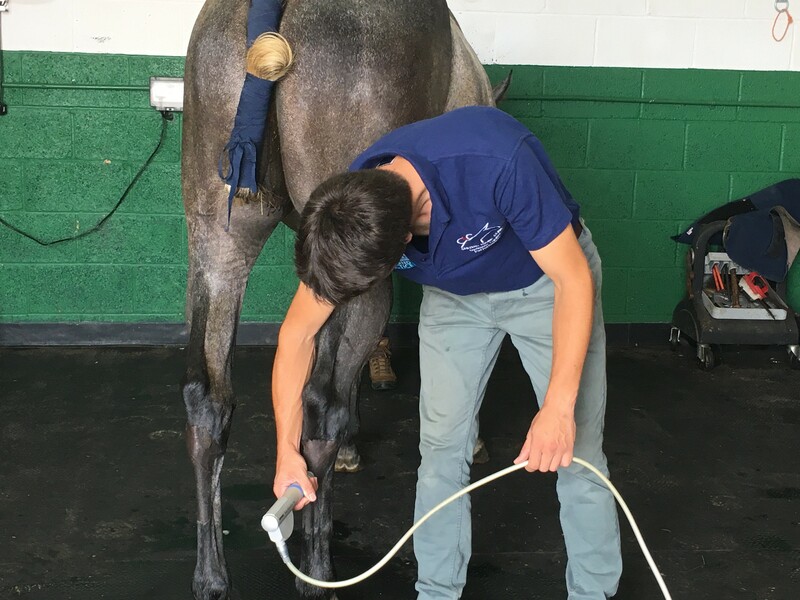 In equine veterinary it has been adapted for use in injuries involving bone and ligaments, including proximal suspensory desmitis, suspensory branch injuries, chronic back pain and angular limb deformities in foals. 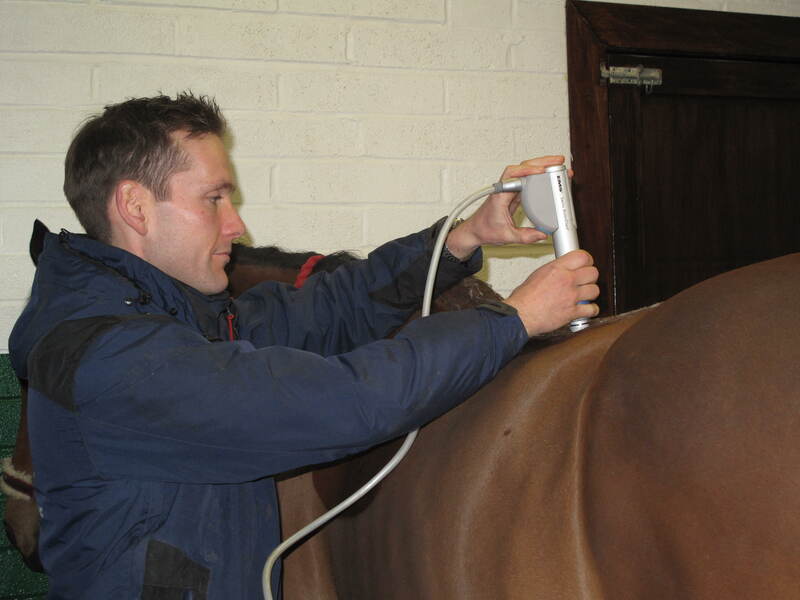 This treatment can be performed on the yard as the machine is portable. The shockwaves are created and transmitted through a hand-piece onto the affected area. The duration and frequency of treatment depends on the condition present but multiple treatments are usually required as effects of treatment are cumulative. The shockwaves travel through the tissue but when they meet a change in tissue impedance (ie. the junction between bone and ligament), changes within the tissue are created. These include an increase in blood flow, direct cellular effects, activation of bone healing factors and a direct analgesic effect. Because of these effects, this is a very useful modality for more chronic injuries that have been refractory to other treatments and to help alleviate chronic pain.